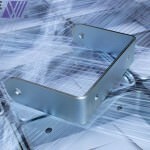 As a company, we offer a number of sheet metal fabrication services. 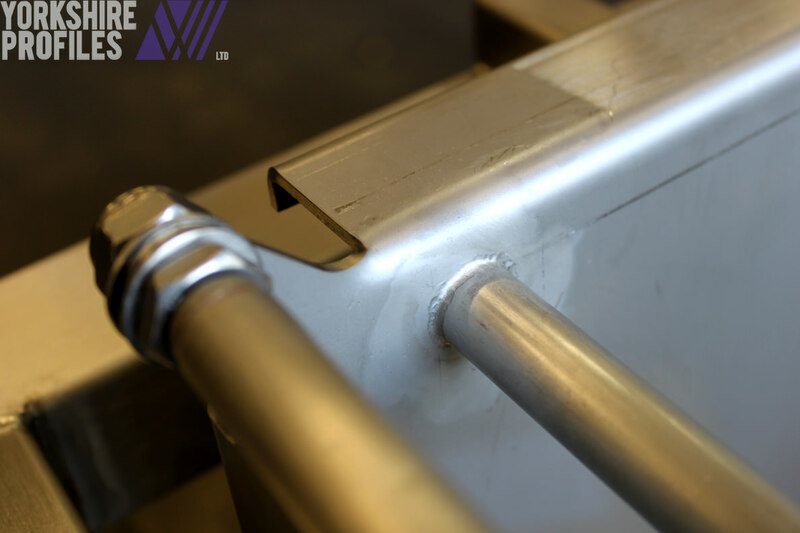 From bending, cutting and welding right through to countersinking, tapping and deburring, we can provide a comprehensive fabrication service for all your sheet metal needs. 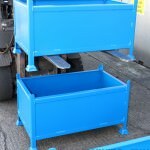 In this section, we’ll be looking at a summary of what fabrication is and how we provide these services. 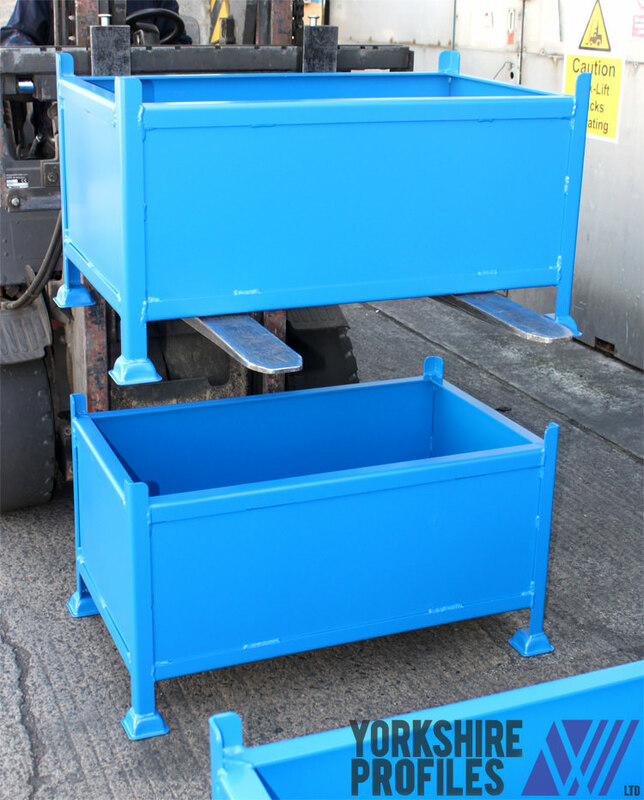 From mild steel fabrication services to aluminium sheet metal fabrication, we cater for all. Fabrication is a term used to describe the process of manipulating and preparing raw materials for a variety of purposes. 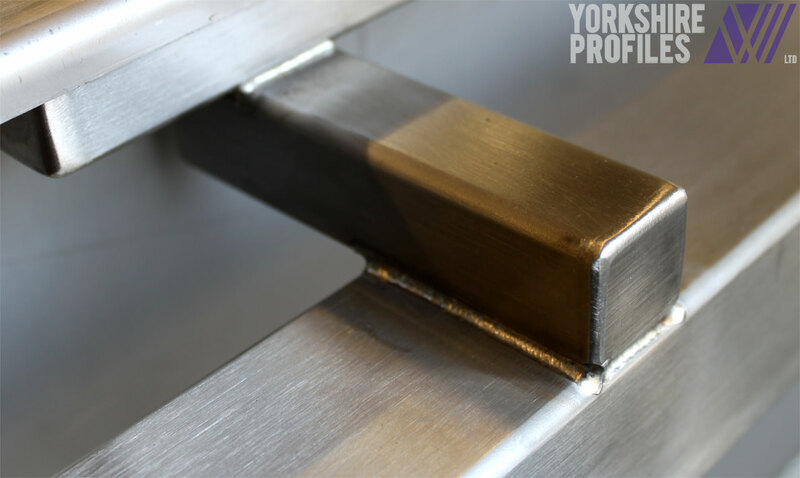 In regards to the work carried out here at Yorkshire Profiles, our laser cutting machines are specialised for working with metal sheets. 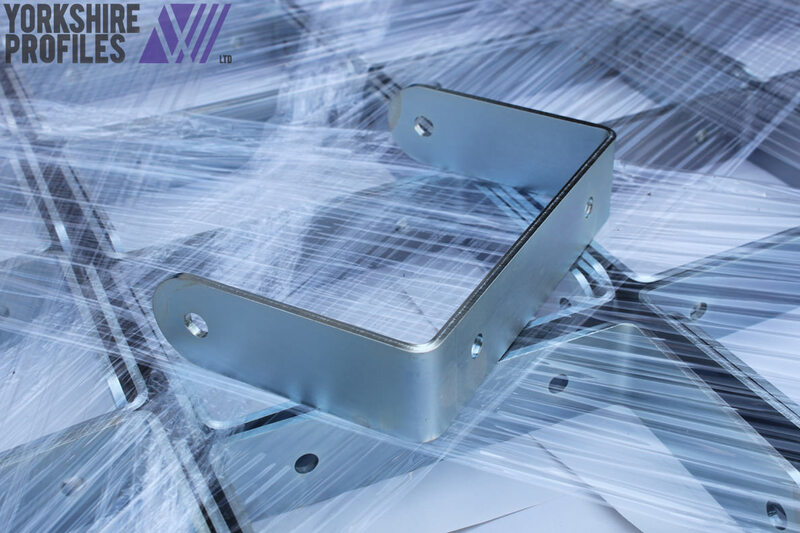 Should a company need anything from sheet metal for gantry or panels, through to highly detailed parts for automotive engines, sheet metal fabrication machines can be used to quickly and accurately to produce these objects. Laser cutting can efficiently and precisely shape metal to sub-millimetre accuracy. The benefits provided by our equipment ensure that we can have them working 24/7, and the digital input from computer assisted design software ensures there is little chance of error with a clean cut every time. These are some of the best materials available for clients. Our expertise in fabricating and ability to provide quick turn around times allow us to offer competitive prices. And How do we Fabricate Metal Sheets? Metal sheet fabrication begins with the design stage. Our 3D development software allows us to design exactly what you want, which we then make with our state-of-the-art machinery and equipment. If you have your own 3D designs, you can send them to us and we will take it from there. 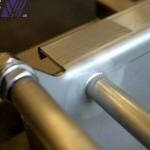 Once we have established what you require for your metal fabrication needs, it then moves onto the cutting stage. Here, metal sheets are cut down to size in what is known as the material removal process. Everything from holes to specific cutouts can be done, and the wide possibilities stretch so far that we can produce any 2D geometric shape. Once the parts are cut, any countersinking or other hole detailing will be added as this can be trickier after the part has been formed into a shape. After this, the deformation process can bend or stretch the sheets to various angles and complex contours. What were previously time consuming and hazardous processes are now completed in a matter of minutes, due to the incredible technology of our fabrication equipment. Once the parts are cut, detailed and folded, the next stage is to weld it all together! Once the welding is completed to a professional standard it will be dressed off and de-stained ready for any plating or powder coating. Here are some example tables of our folding power. Please note these are for guidance only, we can fold over 90 degrees and can apply safety edges and special folds. If in doubt send us the details of what you require and we will let you know if it is possible! 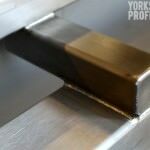 We also provide a range of metalworking services including Mig, Tig and spot welding. We can tap and countersink holes as well as fit clinch nuts and studs. We are a well equipped metal working factory that can handle both one off and prototype designs to fully assembled bulk order parts. If you are unsure if we can assist you with your metal working requirements, contact us on 01904 737095 and we can discuss if we are the best option for you. Alongside the processes mentioned above, we have a number of other fabrication services to expand the business into other areas. We offer a fantastic array of welding services. We weld using both tungsten inert gas (TIG) and metal inert gas (MIG), depending on the job at hand. 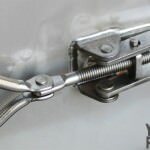 We also offer spot welding services, which we can do on big or small projects alike. Some of the materials we have experience welding are mild steel, stainless steel and aluminium. We are happy to take on any fabrication job that you have for us, whether that is building fascia's, stair and gantry assemblies (as long as it is not structural which would require CE marking), sheet metal enclosures, or bespoke drawer units and light fittings. If you think your business would benefit from our fabrication services, contact us today: 01904 737095. Or alternatively, sign in / register for a quick instant quote!